RedArmyBet brings you betting tips, enhanced odds and preview of night ten of the Premier League darts at the SSE Arena in Belfast. On stats alone, these two are impossible to split in the Premier League this year. They’ve both averaged 97 in the competition and won four of their nine matches, while James wade leads the checkout percentage 42%-41%. 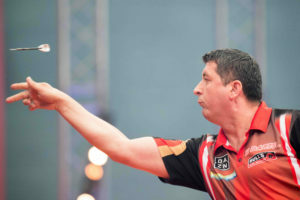 However, we don’t think the Machine deserves to be as strong a favourite as he is, especially as Mensur Suljovic leads their head-to-head 10-5, winning seven of the last nine. These two have amassed just five victories form their 18 combined matches in the first nine weeks of the Premier League. They’re the bottom two going into this week and like the market, there is nothing to separate their averages for the year – 97 each. 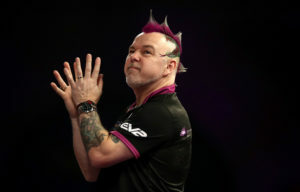 However, Peter Wright has lost fewer matches, while he leads their head-to-head record W15-D1-L8, so is the pick with the draw onside. Rob is odds-on favourite here as he lies second in the standings, but Daryl Gurney is just two places behind and probably the form player on tour. 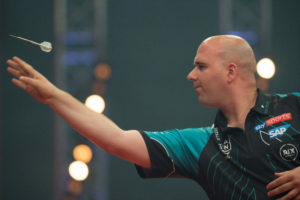 Indeed, the Northern Irishman won the German Darts Championship at the weekend, evening beating Cross on his way to the title. He’ll no doubt be cheers on by the Belfast crowd and as their head-to-head now stands at 4-4, but 3-2 to Gurney in ranking event, Superchin is the selection draw not bet. 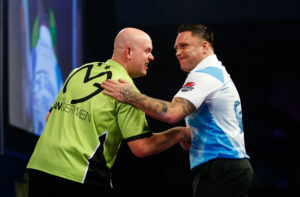 Both men somewhat surprisingly went down to Brown in Germany at the weekend, but whereas Gerwyn Price only manages a 96.65 average, MVG kept his ridiculously high standards up with a 108.10 average. The Welshman may have won 75% of his matches this year, but most have come outside the Premier League as he’s only three from nine. What’s more, he’s lost all 15 matches against the Green Machine, including defeat 7-2 and 7-3 in their two PL meetings.